Joseph V. Gosselin, Jr., age 71 of South Hadley, passed away with his family by his side on Wednesday, April 10, 2019 at Mercy Medical Center. He was born in Holyoke, son of the late Joseph V. Gosselin, Sr. and Frances H. (Cassidy) Gosselin, and attended Holyoke schools. Joe was a 1965 graduate of Holyoke Catholic High School and a 1969 graduate of American International College. He was the Founder and President of Commonwealth Packaging. Joe was a member of the Holyoke St. Patrick’s Day Parade Committee and served as the committee’s President in 1986. He was awarded the honor of Parade Grand Marshal in 2004. 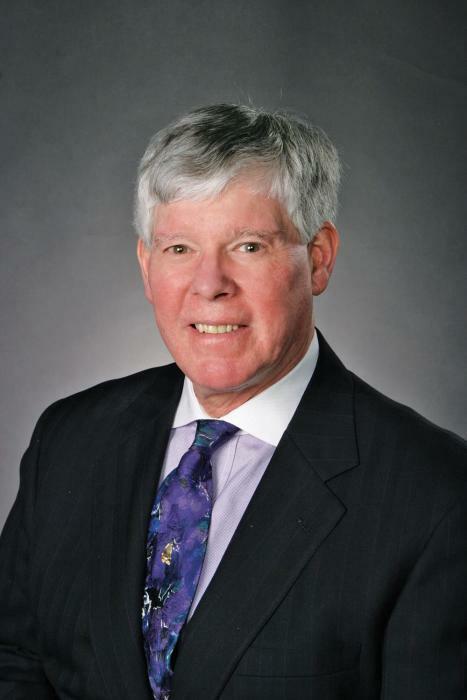 Joe served as a board member of many local organizations including Providence Hospital, Mercy Hospital, Sisters of Providence, Sisters of St. Joseph, Holyoke Community College, and Holyoke Catholic High School. He was an avid supporter of many charities; some of his favorite causes included The Holyoke Children’s Museum, The Holyoke Boys & Girls Club, and the John A. DiNapoli Memorial Scholarship. He loved spending time with his family, most especially at his home on The Vineyard, which was his pride and joy. Joe spent many of his later years taking care of his wife Diane. In addition to his wife, Diane Y. (LaPorte) Gosselin, Joe is survived by his children: son, Chris Gosselin and his wife Beata of Holyoke, daughter, Elizabeth Kouflie and her husband Shane of South Hadley, and son, Adam and his wife Beth of Clinton, MA; his grandchildren: Devin Gosselin, Taylor Kouflie, Braden Kouflie, and Colton Kouflie; his sister-in-law, Tricia Gosselin of York, ME; his nephews: Martin Gosselin and his wife Jill of Brookline, NH, Gregory Gosselin and his wife Kelly of Berlin, MA, and Colin Gosselin and his wife Jessica of Millbury, MA; a great-niece and two great-nephews, as well as many friends. Besides his parents, Joe was predeceased by his brother, James P. Gosselin. Relatives and friends are invited to attend a Mass of Christian Burial for Joe on Saturday, April 13 at 11:00 am at Blessed Sacrament Church, 1945 Northampton Street, Holyoke. Burial will follow at Mater Dolorosa Cemetery, South Hadley. Calling hours will be held on Friday, April 12 from 4:00 to 7:00 pm at the Barry J. Farrell Funeral Home, 2049 Northampton Street, Holyoke. In lieu of flowers, memorial contributions may be made in memory of Joe to The Alzheimer’s Association- MA/NH Chapter, 309 Waverly Oaks Road, Waltham, MA 02452.